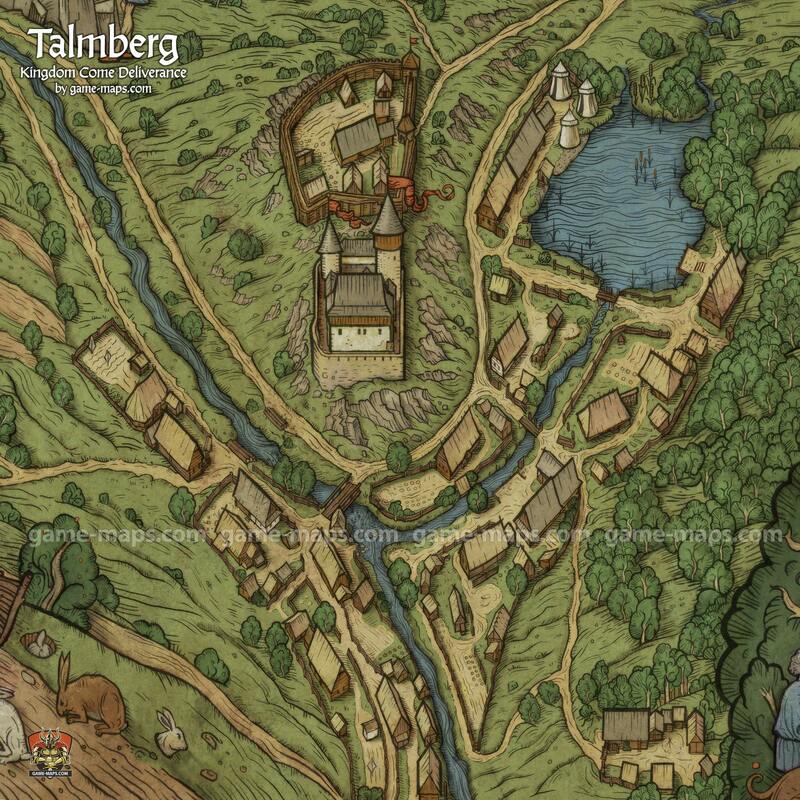 Map of Talmberg in Kingdom Come Deliverance KCD Video Game. This castle was built on a rocky promontory at the beginning of the 14th century either by Arnold (Arnošt) of Kounitz, or Hroznata of Uzhitz. For more than two hundred years the castle was the seat of the Lords of Uzhitz, later renamed after the name of their residence - Lords of Talmberg. In 1390, the castle came into possession of Divish (Diviš) of Talmberg. The same year, it was seized by Havel Medek of Valdek, who took Divish prisoner. Medek did not release Divisch until 1397 when he was forced to do so by a decision of the provincial court. Now only a ruin now remains of the castle in the midst of residential development.